These ‘cool’ glasses were there to help you watch 3D television and films without issues as they had a clip on ‘prescription’ lens add on. With the RxMulti3Di glasses, Optics3D have gone a step further, and included the prescription lenses inside the 3D lens, hence there is no silly clip on, and no need to look bit of a nerd. These are prescription 3D glasses, that actually look cool. 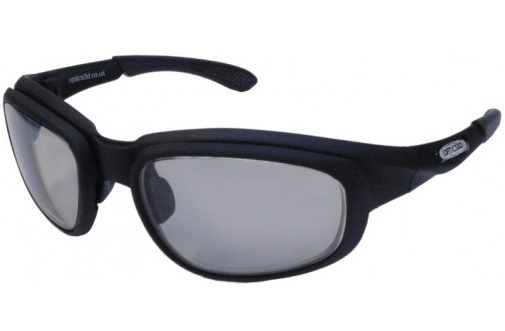 They work for RealD, MasterImage 3D and passive 3DTVs. Yes, they also feature as ‘2D Glasses’. 2D Glasses convert a 3D film into a 2D one. I am yet to try that, but I think that would be a very useful option to have, specially in the future where a lot of our devices might start showing off 3D instead of 2D. They have a very sporty look, are extremely light, and very comfortable on the eyes. I wore them for about half a day and did not feel any discomfort. They are actually lighter than my usual pair, which is great. 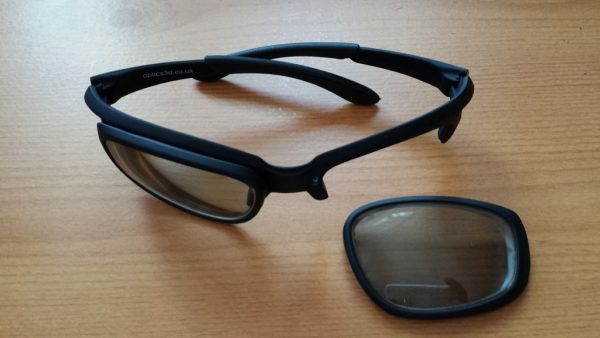 If you read the last review (mentioned above), you may have noticed the different between the RxMulti and RxMono range being that you can add various kinds of lenses for various kinds of 3D technologies. You can do the same with these, though you will have to buy prescribed lenses for each. They are not available in more options as of now, but the lens can be clipped out and put in. Of course they work, and work very well! Being prescription, the experience is a lot better than anything else I have tried, and that definitely wins a great vote from myself. They are available from –8 to +4 spherical and up to +/-4 cylindrical. They do not come in bifocal or varifocal options. I like them, how do I get them? I quite like these kinds of things. The little things in life that make your life just that tiny bit better. However, at the end of the day these glasses apply to people who wear glasses, and love 3D. If you do, these are a lot better than anything else I have seen in the market.